Tall headboards made to order in the UK. Tall floor standing headboards are becoming more popular as people now want to make a true statement with their headboards, making it the main focal piece in their bedroom. If you’re looking for a tall or high headboard for your bed, we offer a great selection and can even custom-build to your height requirements. At Headboards ltd we are able to make panelled floor standing headboards to meet our clients requirements. Our tall headboards come in panelled pieces. The reason why we use panels is so that customers are able to get the product up the stairs and into their bedrooms. 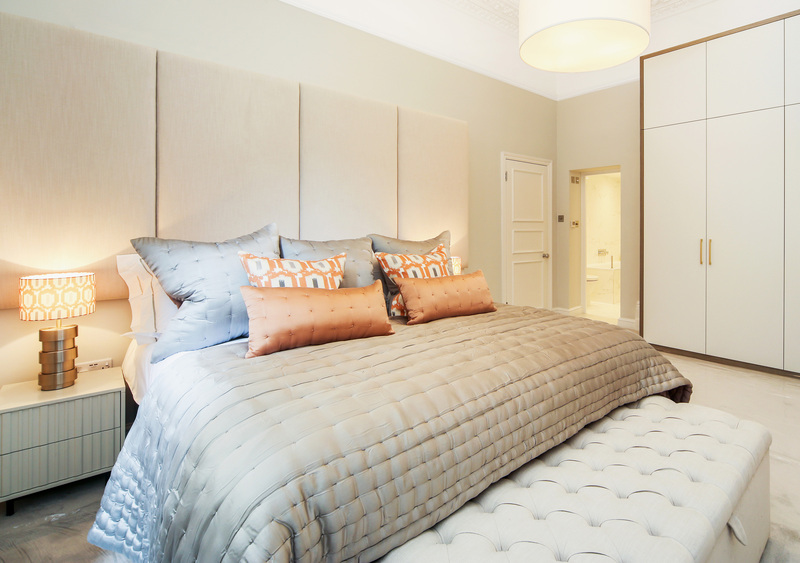 Being based in London we understand how limited space can be restricting, however it doesn’t mean that you have to compromise on your choice of headboard. 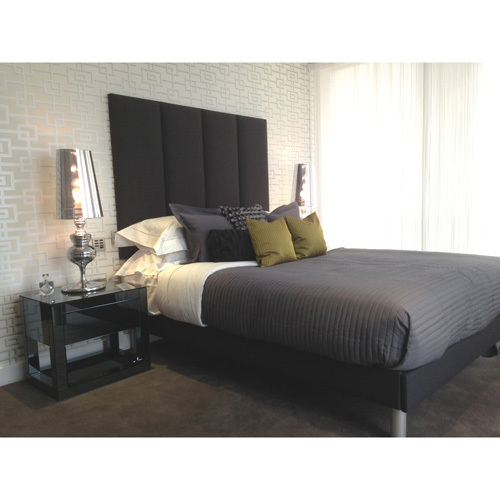 We can manufacture high headboards in Vertical panels horizontal panels or even squares. The panels fit flush to the wall and attach to each other perfectly so that you would think that the headboard is actually in one piece. We are able to rebate the bottom of the headboard so that it allows space for the skirting board. Customising your tall headboard is no problem with the choice of floating buttons, contrasting buttons or Swarovski crystals. We have a wide range of fabric types including a selection of Velvets, Suedes, Linens and faux leather. These fabrics are available in various colours from calm neutrals like beige, browns and greys to bold bright like yellow, red, blue and green. Our high headboards are made with our integrated wall mounted system meaning the headboard will be flush against the wall. Please note we are only able to go up to 8ft in height for transportation purposes.